ANAHEIM, Calif., (Sept. 20, 2016) – Propelled by pixie dust, runners from Southern California and beyond will be running with their favorite girl at the Tinker Bell Half Marathon Weekend presented by PANDORA Jewelry during Mother’s Day Weekend at Disneyland Resort. Registration opens today for the race weekend in May 2017, which annually brings together women and more than 20,000 of their closest girlfriends. Runners from across the nation – including a strong contingency from Southern California – and 30-plus countries will spread their wings and fly for this women-focused event. It’s the quintessential way for women to get active while also celebrating everyone’s favorite girl: Mom. In the Tinker Bell-inspired half marathon, 10K, 5K and Kids Races, moms and fellow runners will be treated to new finisher medals this year, designed to reflect the strength and determination of Tinker Bell. 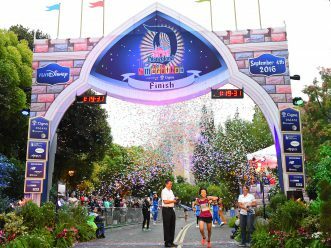 The half marathon course, among the most popular runDisney events at Disneyland Resort, will once again wind through Disneyland Park and Disney California Adventure Park, as well as the surrounding city streets of Anaheim. 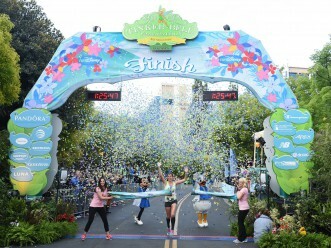 The Tinker Bell Half Marathon Weekend is one of two women-focused runDisney events that support women’s health, women’s empowerment and women just having fun. The other is the Disney Princess Half Marathon Weekend presented by Children’s Miracle Network Hospitals at Walt Disney World Resort in Lake Buena Vista, Fla. Runners can register for any of the Tinker Bell Half Marathon Weekend events, as well as other runDisney race weekends, at www.runDisney.com.